Jamie BlakeJamie Blake, a UNC-Chapel Hill doctoral student in musicology, will serve as the Harold J. Glass USAF Graduate Fellow for academic year 2018-19 – providing, among other benefits, mentoring from the professor who selected her specifically for the award. The Harold J. Glass USAF Faculty Mentor/Graduate Fellow Distinguished Term Professorship, established within The Graduate School, includes a corresponding fellowship for a graduate student the professor selects to mentor. Annegret Fauser, who holds the three-year professorship, is selecting a different student each year. 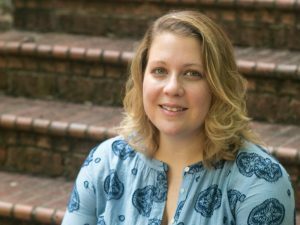 Jennifer Walker, a doctoral student in musicology, was the 2017-18 fellow. Blake received her bachelor’s degree in music, specializing in music education, from Boston University. She received her master’s degree in music, specializing in instrumental conducting, from Brigham Young University. Blake’s dissertation focuses on the experiences of Russian musicians in the United States from the time of the Russian Revolution of 1917 through the early Cold War. Within her investigation, she examines the impact these musicians had on American musicians such as Aaron Copland and Leonard Bernstein. “I am very honored to be chosen as a Harold J. Glass USAF Graduate Fellow,” Blake said. “I consider myself extremely fortunate to have the opportunity to work with Dr. Annegret Fauser, who is both an exceptional scholar at the forefront of our field and an unparalleled mentor.